Shoot it Yourself wedding videos taken to the next level ... and it's amazing ... after we edit of course! 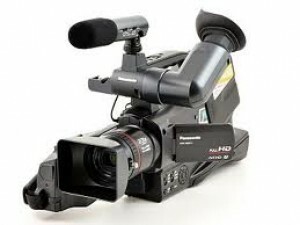 Professional equipment for Shoot it Yourself wedding video PLUS professional advice and training option. Shoot it Yourself wedding videos are an alternative available for couples on a budget or who don’t want a professional company but there are risks involved. What if your guests don’t really know what they’re doing and they ruin your wedding video? Electra Films now provide a range of very competitively priced Shoot it Yourself wedding video packages including the option of a professional training session for your ‘crew’ before the day. ’As far as I can discover we are the only company in the UK - maybe even the world - offering professional personal training for your Shoot it Yourself wedding video. We believe this will be very popular and provide couples with a recession-beating option’ Karrie explained. ’And if couples book their training session BEFORE the Hen and Stag weekends they could also get some great footage of all the fun ... could be interesting LOL! How cool is that? Read all about Electra Films Shoot it Yourself services.